Israel is looking to boost its biotech industry. Two units under the country’s Ministry of Economy have partnered to provide grants to companies looking to make the transition between research and development to manufacturing, mostly in the life sciences domain. The two are the Israel Innovation Authority, which is the government's tech investment arm, and the ministry’s investment center, which is the body in charge of developing the country’s periphery and creating jobs. Venture capital firms rarely invest in life science companies at the initial manufacturing stage, as the shift from lab to manufacturing can take up to 15 years, investment center’s Director Nahum Itzkovich told Calcalist in an interview. Initial manufacturing, where several hundred units of product are created, is a required step for companies seeking a regulatory nod to start commercial production, but for many companies, it sets a high bar. According to Innovation Authority data, around 1,450 life sciences companies currently operate in Israel, most of them founded within the last decade. For investors, the industry poses a considerable risk: around 130 companies are registered in Israel each year, and around half that number, 65, shut down. 70% of the companies have less than 10 employees. 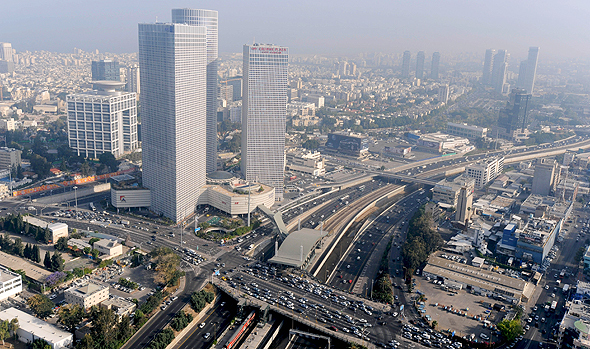 For companies located in Israel’s central district, the grants will cover 20% of the costs of setting up a facility, while for companies based outside the country’s financial hub, the grants will cover 30% of the costs. The two agencies estimate that initially, 5-10 companies will receive grants. The new government support program applies to both biotech and other companies. A pilot started in February 2017, with a first grant given to BiondVax Pharmaceuticals Ltd., a company developing a universal flu vaccine that is currently in the process of setting up a facility in Jerusalem. Another grant was given to Utilight Ltd., a company developing printing technology for the PV metallization process of c-Si solar cells. Utilight is also in the process of setting up a manufacturing facility. The Innovation Authority currently has various investments, grants, and lending programs, amounting in total to around NIS 1.6 billion ($430 million). Support of life science companies is relatively small and mainly carried out through biotechnology industry incubators, which offer companies up to NIS 8.1 million (around $2.2 million) over three years. The new venture is the product of joint effort between the authority and the investment center to identify the factors that hinder companies from setting up their entire value chain in Israel, said in a statement authority Director Aharon Aharon. Last week, Calcalist reported that the Israeli Tax Authority has decided to expand a legislation giving tax exemptions to businesses, applying it to smaller companies that were not eligible for the exemptions before.